Here on the Farelogix blog, we've been discussing how airlines can make NDC work in the context of Travel Agencies, OTAs, Corporate Booking Tools, and GDSs. 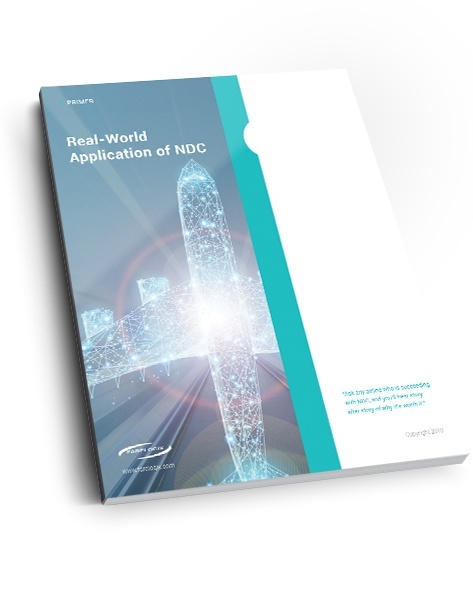 Farelogix has been leading the way in the real-world application of NDC since its inception. Our customer base includes NDC pioneers Lufthansa Group, United Airlines, American Airlines, Emirates, Qantas, Qatar, WestJet, and Olympic/Aegean. By working alongside these front-runners, Farelogix is the industry's most experienced NDC technology provider. Given the significant interest in our previous posts, we've decided not to publish another article. Instead, we've jumped right in and published a primer on the topic. This 16-page publication covers all the material featured in our previous posts - and much more! We hope you find the content useful when developing your airline's NDC strategy!